For most kids, summer is the single most exciting time of year—or is tied with Christmas, Hanukkah, and/or winter holidays. Summer means no school, long sunny days, and lots of opportunity for play. For many parents and children with special needs, however, summer can be bittersweet. Yes, it still means sunny days and time for play, but it also means going a couple months without the support and personalized attention your child receives from the trained professionals who work with them at school. Extra time with a home healthcare aide can make up for this loss, but there are other pediatric health care options to make your child’s summer as fun as possible while ensuring they get the care and attention they need. While there are plenty of issues with our nation’s public school system, one of the best benefits is the federal law protecting services for special needs children. Under the Individuals with Disabilities Education Act (IDEA), federal law set out certain requirements that all public schools offer to provide special education services based on disability type. You can read more about both federal and state laws and what they cover here. The important point, however, is that every child is entitled to a “free and appropriate” education in the “least restrictive environment,” whether they have a disability or not. This provision is why your child receives personalized attention based on a specifically designed learning plan from a speech pathologist or other occupational therapist at school. Unfortunately, most school systems don’t have the funding to continue offering these services during the summer. Because your child will be losing a lot of beneficial time with school teachers and therapists during the summer, we definitely suggest talking to your home healthcare agency about supplementing those specialized times during the summer. 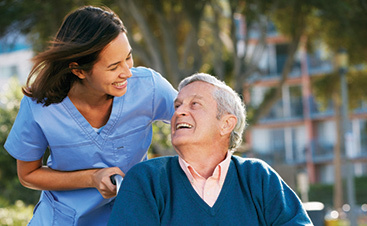 Evergreen Home Healthcare, like most home healthcare agencies, can help with pediatric occupational therapy and physical therapy just as well as we can offer medical home care services. If you already have a home health aide working with your child, ask if they are trained to handle any of the additional therapy services your child will be missing out on. Your home healthcare agency can also help you find a licensed therapist to come to your home and provide the services your child needs. If possible, it’s best to begin arranging for extra care with your home healthcare agency before summer begins. This way, your therapist can get detailed information on the therapy your child has been receiving from the specialist at school. If that’s not possible, the speech pathologist or occupational therapist who works with your child at school should keep detailed notes about your child’s progress, so you can usually request that those notes get sent to the providers at your home healthcare agency. 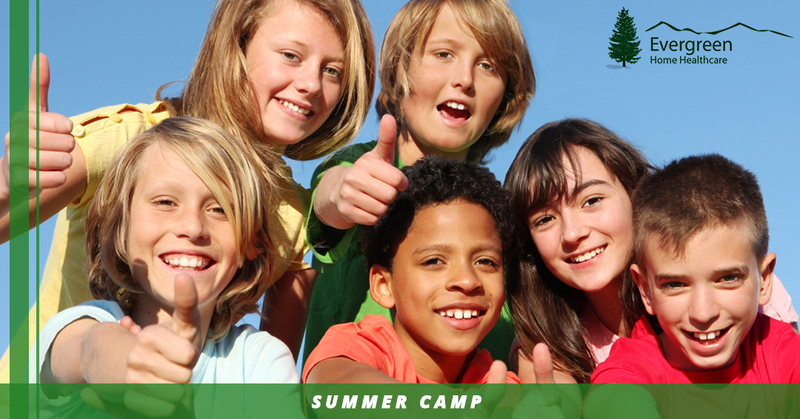 This way, your child can stay on track and avoid any lapse in progress during the summer. The other excellent option to help your special needs child during the summer is through summer camp! Many camps here in Colorado and nationwide are designed specifically for children with special needs and run by those with the specialized training to provide specialized assistance. In fact, many summer camps for special needs children focus in on one or two subsets of different disabilities, which generally helps to ensure a fun and enriching environment for your child. Online sites like www.specialneedscamps.com and www.campresource.com provide a list of different camps for special needs children that can be filtered by your child’s disability. Some camps are offered in the Denver Metro Area or other major cities and some choose to make the most of Colorado’s bountiful nature and host their specialty camps in the mountains—of course, designed for those with special needs, so they are accessible. 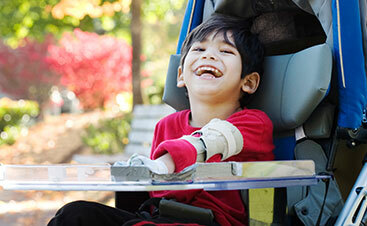 Choose between day camps and overnight options, depending on the special needs the camp focuses on. If you would like more information on Colorado camps for children with special needs, contact the team here at Evergreen Home Healthcare for more! This summer, help your special needs child continue to receive the care and specialized attention necessary to help them flourish. 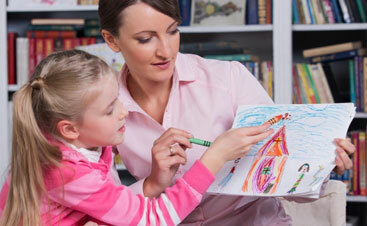 Contact Evergreen Home Healthcare for more information about in-home pediatric health care for your child today!